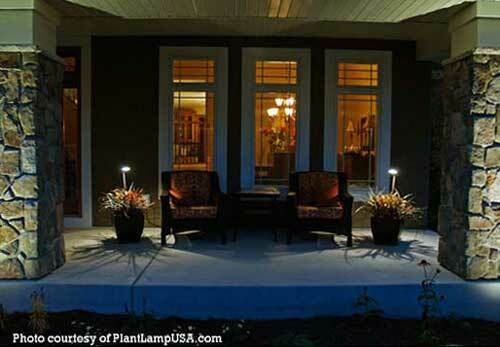 Contemporary porches, also referred to as modern porches, are comfortable and welcoming. A contemporary style usually implies simple clean lines and a bit of sophistication, too. Colors are often neutral with punches of bright colors and texture introduced with pillows and other accents. These modern porches can be extremely varied, possibly unique, and no single common design theme binds them as a style. That's what makes them so interesting! 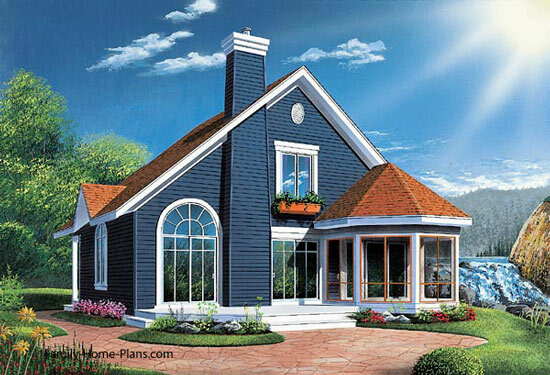 Clean architectural lines are characteristic of contemporary homes and porches. 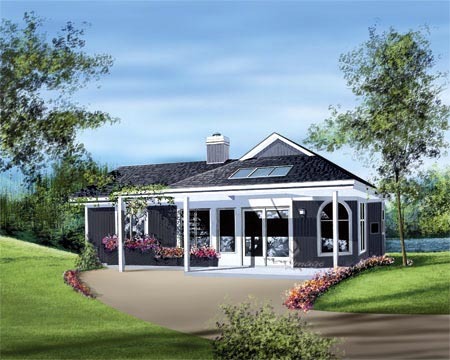 So here are a few home and porch plans for you to consider. Note the expansive window display and how the architecture over the porch is carried through over the door and windows. Typical of many more contemporary porches, additional columns are added. In the photo above the middle column is not required for structural purposes. 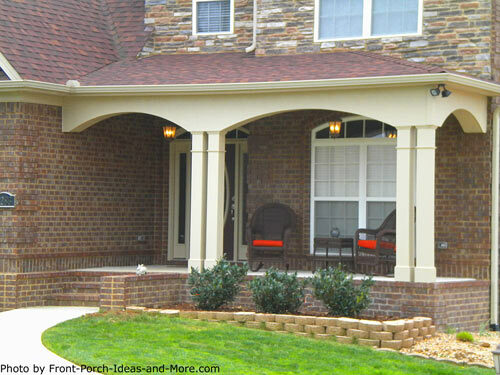 Removing that column will give the porch a more open appeal. Contemporary-style homes also vary extensively by region, and what may be considered contemporary in one region is simply non-traditional in another. 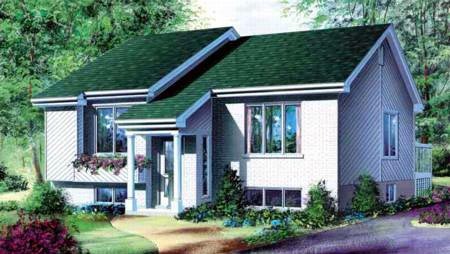 This style home is unique and varies by design. 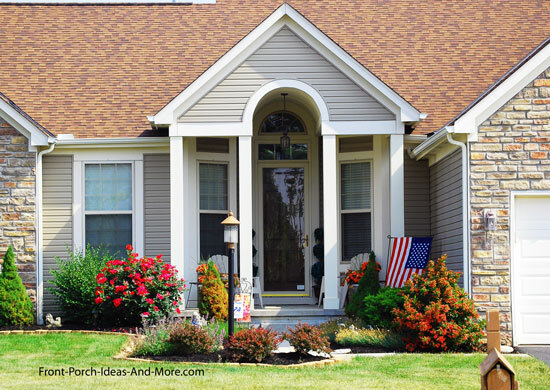 An interesting observation we've made is that many modern homes lack large porches. 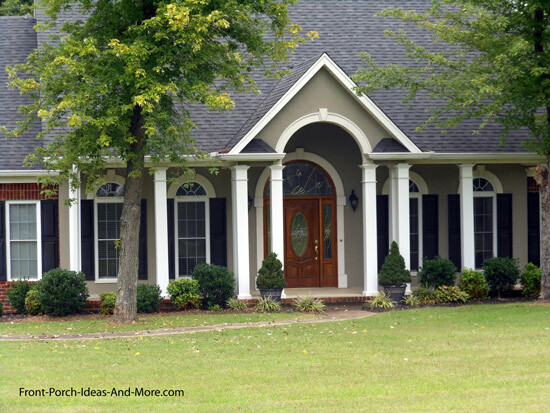 If a porch is present, most are small porticoes, or relatively small in overall design. 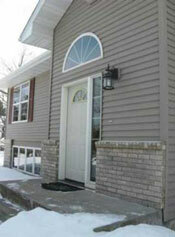 If there is no porch, usually there is a pediment above the door and light panels on either side. 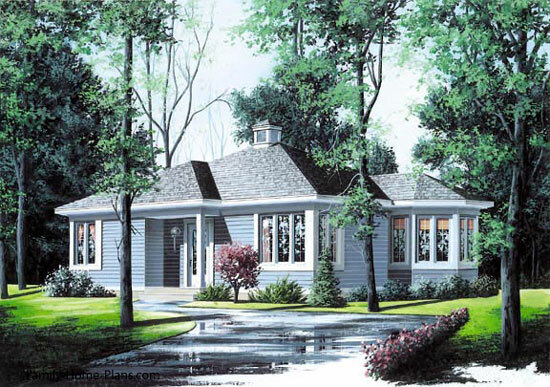 Because many modern homes are found in developments, lot size ends up dictating porch size. When you only have a small area on which to build, interior space is a premium and therefore, porches are minimized in most cases. 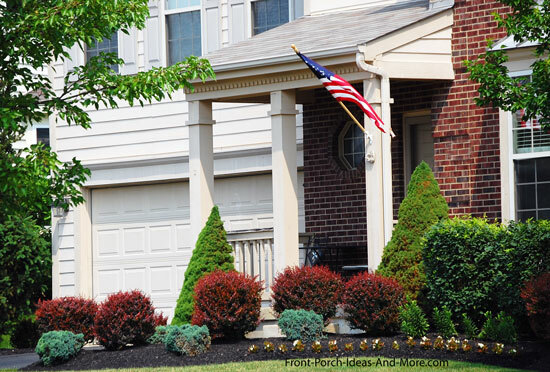 Have a split-level home? 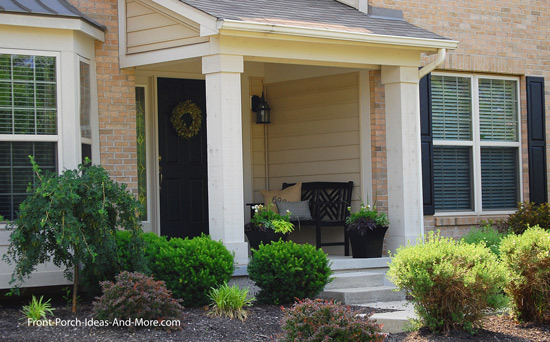 Here are ideas for adding a front porch.